ENAM Asset Management started in 1997 as the investment management arm of ENAM Group provided world-class research and knowledge-based financial services to participants of capital markets both in India and overseas. Evolved as a leading provider of equity-oriented investment solutions. Enable business with cutting edge is the mandate of the CIO and his IT organisation. In line with the industry trends, the company recently migrated its traditional IT to a Hyper-converged Infrastructure for a virtual, and optimized environment. 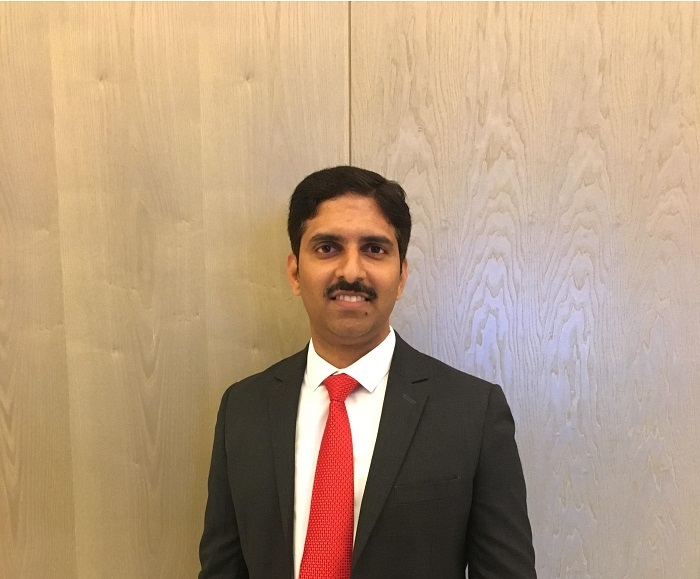 In conversation with Muqbil Ahmar, Executive Editor, DynamicCIO, Kiran Belsekar Senior VP and Head of IT, ENAM Asset Management Company explains the journey of the migration from the legacy to a hyper-converged platform. DC: What were the key reasons to migrate from the traditional on-premise infra to a hyper converged system? What business problem does it solve? KS: The company was operating on a 7-year old technology infrastructure, which was running on blade technology. The aging IT systems were becoming increasingly inefficient, risky and costly to maintain. The IT team relied on several distinct backup and replication tools for data protection and recovery. Deploying new workloads – allocating compute and storage resources, configuring data protection policies – took weeks with the old IT infrastructure. Worse still, equipment failure had the potential to impair IT systems and disrupt business and restoring applications took hours or even days. The company was in constant danger of a crippling hardware failure — an increasingly plausible prospect as the data footprint ballooned. The network architecture was also outdated and it resulted in loss of productive work hours for the organization. Those conditions were perfect for migrating to a hyper-converged infrastructure (HCI) replacing the old one to completely transform the IT. DC: How would you summarize ENAM’s digital journey from legacy IT to a modern hyper converged IT? KS: The modernization initiative was aimed at improving the scalability, reliability and economics of the company’s IT systems. We required to replace the old hardware with new, which can offer recovery solutions to consolidate its diverse storage and server infrastructure and also help maintain overall IT performance through virtualization. By examining the infrastructure, we recommended a complete revamp of the IT model by replacing a disparate and resource-intensive storage infrastructure to meet the needs of company’s growing business. Our choice was HPE SimpliVity for its agility, performance, productivity and scalability. KS: HPE SimpliVity is a software-defined hyper-converged infrastructure that gives extreme performance, data protection, and resiliency. To us, it delivers automated storage utilization, always-on compression, and policy-based VM-centric management. With the IT infrastructure under the hypervisor layer in a single building block, it allows customers to reduce datacentre footprint by 10:1 and TCO by 73%. The built-in backup and DR of HPE SimpliVity delivers a 10-minute RPO and 60-seconds or even less (on average) for local backup or restore of a 1TB VM. HPE hyper-converged systems deploy virtual machines and operate in an all-in-one virtualization solution that integrates compute and software-defined storage in an easy-to-manage platform. HPE SimpliVity helped us scale operations ensuring business continuity and reduced downtime. The IT infrastructure has become centralized, resulting in time savings as the team is now managing the whole infrastructure from one consolidated point, unlike previously where they needed 5 separate points of operation. It provided IT staff the flexibility, control and consistency needed to manage and scale their infrastructure. DC: What was the biggest challenge you faced? KS: The main challenge for us was to revamp the old infrastructure without causing any loss of data or any other key resources. Our approach to implementation completed the whole process within a day. We never opted for any technology, which we have implemented here. Moving to a new infrastructure rather than having an upgrade for the old one was a measurable step taken. We have not only provided HCI solutions but also upgraded the network operations by providing a mix of technology and products. DC: What benefits do you see in the overall performance? Compare the pre and post deployment scenarios? KS: We were facing multiple issues in running the old infrastructure. They were related to performance, capacity and also towards digital transformation. Overnight system backups caused major disruptions. The old infrastructure took 4-5 hours for backup, which is now reduced to just 15 minutes with the new hyper converged solution. The upgraded network structure has resulted in faster processing of operations saving valuable time. With old infrastructure, company required at least 5 different persons handling IT operations for different tasks like server, storage, backup, hypervisor and network management. With no centralized approach, there were five different control points and this made it tough in cases of faults or failures to coordinate. The new infrastructure provides a centralized control and removes the complexity. Now the whole infrastructure can be managed by one person. The old infrastructure had 15U of rack space which was not cost effective. The new infrastructure has reduced this to 4U and has benefitted in both space and power consumption.